Welcome to Whistler’s number one choice for group golf outings! You will notice the difference in a Whistler Golf Club outing from the first moment you meet a member of the Whistler Golf Club team. An “anything-is-possible” attitude, an attention to detail and our complimentary planning and group outing services make a Whistler Golf Club outing…out of the ordinary. Group organizer stays and plays for free. The entire staff have always been exceptional. Many comments regarding condition & service. We are always treated very well. Thanks for all your help & patience. A big thank you from us! 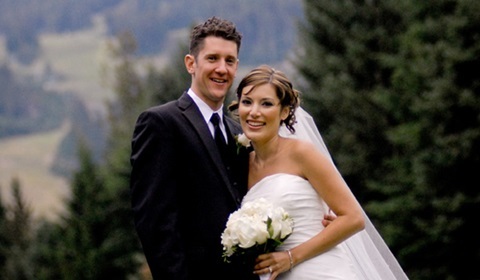 Thank you for considering the Whistler Golf Club for your special day. The Whistler Golf Club’s location is perfect for wedding receptions that are truly “Whistler”– surrounded by Whistler’s local mountain peaks, a central village location that is within walking distance from most of Whistler’s hotels, a beautiful clubhouse facility featuring a large, sunny patio, exceptional food and beverage selection and service, as well as plenty of free parking. Our events team will work personally with you and your preferred suppliers to set the stage for your day. We look forward to the opportunity to serve you on your special day. The clubhouse at the Whistler Golf Club is a perfect wedding reception venue. The post and beam construction accented with large, floor to ceiling windows provides great views of Whistler’s stunning scenery. The large patio, with an optional tenting system, overlooks Whistler Mountain and allows for exceptional flexibility in the venue setup.